I loathe 21st century children’s birthday parties. Soirees fit for a Kardashian. For every single birthday. For every single child. Gag me with a party hat. We’ve attended a few of these parties. 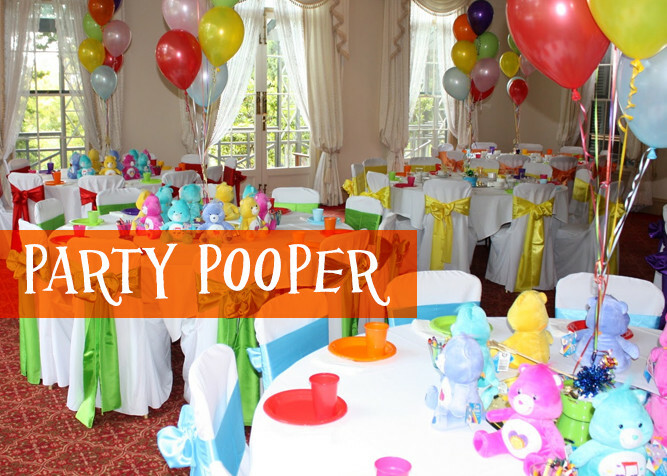 I’ll admit it–early in our parenting careers, we threw a few of these parties. The festivities take place at one of those businesses where parents pay an obscene amount of money for their precious prince or princess to jump in an inflatable castle with several hundred dozen of their closets friends, acquaintances, and complete child strangers . Soon, sugar-fueled tiny humans mosh around, screaming like crack-addicted monkeys while the proprietor sits in a dark corner, laughing like Dr. Evil while swimming in money. That Chuck E. Cheese is one smart mouse. When did every kid from school, youth group, swim club, the orphanage, and juvenile detention start getting invited to each birthday party? When did parents start paying for their kids to play indoors? When did birthday cakes become works of art that made Michelangelo’s David look like what the dog dropped in the neighbor’s yard? When did we start trying to one-up other parents at every birthday for every kid? I remember my birthday parties being so much simpler. A cake that my mom baked and ice cream from the grocery store. Two or three friends. No presents. Playing outside for free. No gift bags. I don’t feel like I missed out on any of this bouncy house, break the bank, designer birthday cake poppycock because, well, it didn’t exist to miss. Now we cringe when our wives mention birthday plans. It isn’t because we don’t love our kids. It’s because we see stressed out moms with to-do lists a mile long. We see our wives spending an ungodly amount of time scanning Pinterest for ideas for the perfect party. We see the frustration when they attempt to make that Pinterest birthday cake and “nail it.” We hear the nervousness in their voices when they hesitate to tell us how much overtime we’ll have to work to play for the jumpy place. We cringe because of the pressure we see our baby mamas put on themselves to pull off the greatest party ever. We sense the fear, however irrational it may or may not be, that other moms will judge them if they don’t go all out to impress. We see them worry that our child will be disappointed if we don’t deliver on that promise of a fantasy Disney princess or Star Wars party. I gave thought to finishing this post by suggesting ways to ease the pressure on the nerves and wallet, but I decided not to do it. Some of you may already be there. If so, awesome. 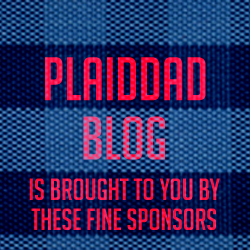 We at PDB celebrate with you. Keep those birthday parties simple. Many of you, however, may not be in a position to suggest simplifying. Your wives have made up their minds and won’t be swayed. There may well come a day when your lady says, “You know what? It’s not worth all the effort. Our little man/lady doesn’t even remember all the things we did last year. Let’s keep it simple.” It happened in my house, and it may one day happen in yours. But until it does, don’t force it. Support your wife’s effort. Love her. Help her pull it off. And don’t complain. When the party is over, the bill is paid, and the mess is cleaned up, remember all the fun your kid had. They may not remember it all in just a few years, but for that moment, they were the prince/princess of the world. And praise your wife for doing everything she could to make your little one’s day awesome. If we do so they’ll see us, not as a party pooper, but as a party animal.